Adding a new chapter to its iconic brand: TVS XL, TVS Motor Company today announced the launch of its new four stroke TVS XL 100 in Delhi. The all new TVS XL 100 has been designed to meet the evolving needs of today’s customer. The all new TVS XL 100 is powered by a 99.7cc four stroke engine which effortlessly delivers 4.2PS power with excellent initial pick up and a top speed of 60kmph. TVS XL 100 returns best in class mileage of 67 kmpl (among all auto-geared two wheelers) under simulated test conditions as per TVS Motor standards. This launch reiterates our commitment to deliver high quality, customer centric products and also underlines our commitment to continually establish a strong brand connect with our customers. 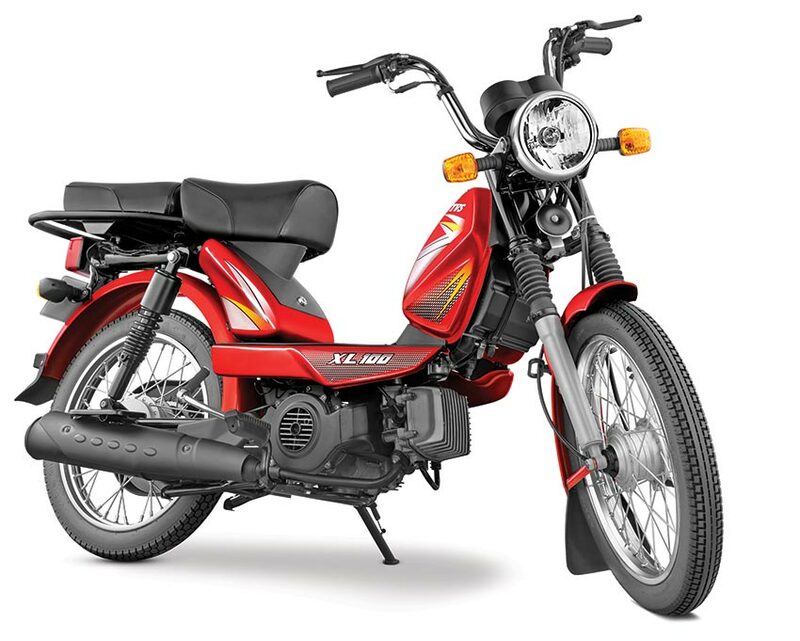 The all-new four stroke moped TVS XL 100 has been designed to meet the evolving needs of today’s customer and is one of the most affordable, reliable, easy to ride, powerful multi-utility two wheelers in the market. We are confident that TVS XL 100 will garner high levels of customer satisfaction and will be well received in the market place. The all new TVS XL 100 comes with a seat which is broader and more comfortable. It also has a detachable rear seat with a robust rear flatbed platform to enable carrying of loads. The front platform of the all new TVS XL 100 is wider and longer so as to enable more space. Easy centre stand, (patent pending), which makes parking the vehicle easier and improves stability while the vehicle is on stand. The ergonomics of the all new TVS XL 100 have been designed to ensure a more comfortable riding position. Additional features include an easy kick-start, bold style muffler, bigger tank and stainless steel brake cable for effective braking. The all new TVS XL 100’s bold styling is complemented with attractive and vibrant graphics and comes in five colours of black, red, green, blue and grey. Along with TVS XL Super and TVS XL Super Heavy Duty, TVS XL 100 is currently available across all TVS dealerships in Rajasthan. TVS XL is priced at Rs. 30,174 ex showroom in Delhi.